Meet Zero. 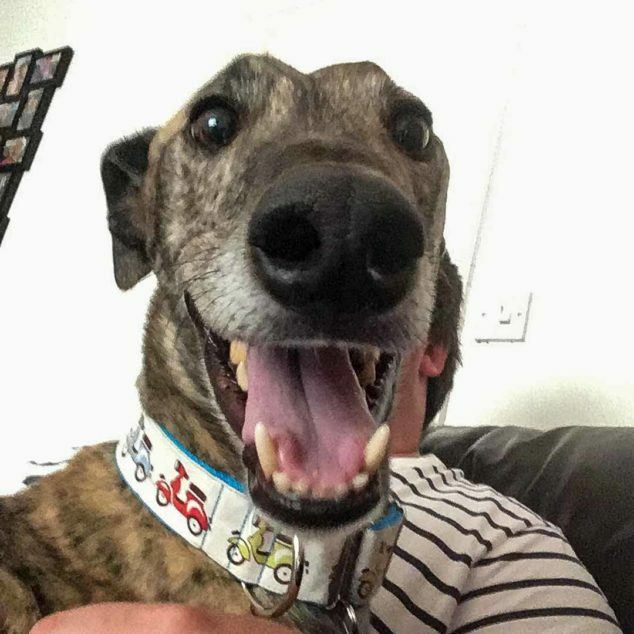 He’s a sweet and fun-loving Greyhound living a good life and being spoiled every single day. That’s not the way it started out. He was a racer and spent most of the time in a cage. 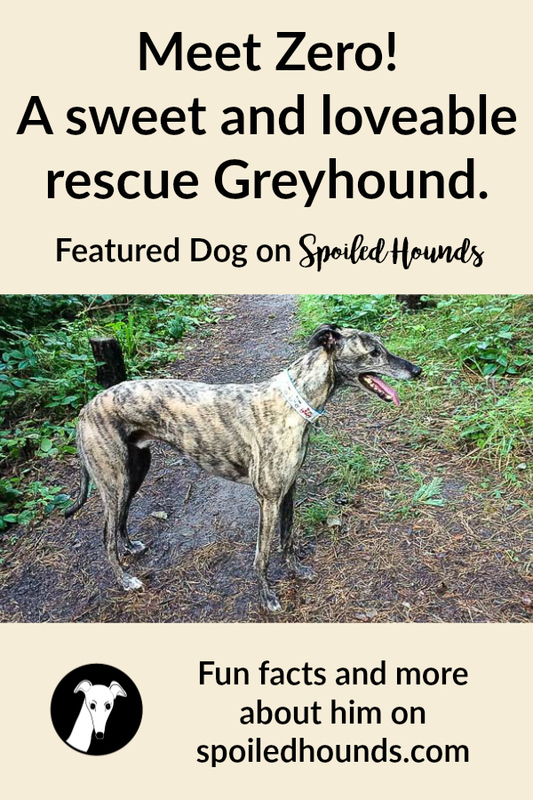 It’s wonderful he was rescued because of the joy and love he brought to his human family. Check out these fun facts about him as told by his human mom, Sarah. Scroll down to see more photos of him. Initially, we wanted a small dog but someone recommended a greyhound. We were unsure at first but fell in love with Zero! We are so glad we did he’s an amazing family dog! Our daughter is obsessed with the nightmare before Christmas and the ghost dog Zero! Zero is notorious for breaking toys! He’s had millions! Thankfully we’ve found an indestructible one! He’s on a hypoallergenic diet so gets lots of posh fish treats! Zero will not go out in the rain! So if we open the door he runs tail between legs behind the sofa and we have to pick him up and close the door so he can go for a wee! 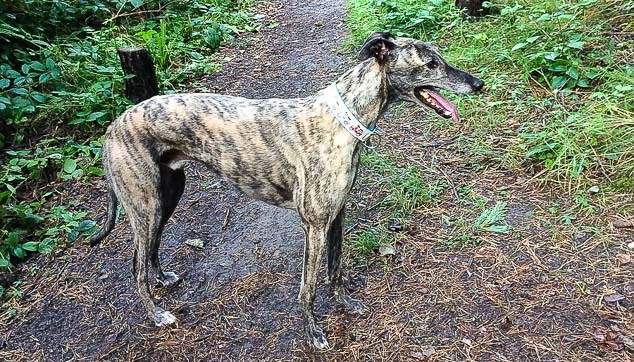 Zero has recently started offlead he loves going down the woodlands area and running away from the kids! Zero is an amazing family dog! Coming from such an awful background of the racing industry. He’s so chilled out and he loves being around the kids and having fun with them! 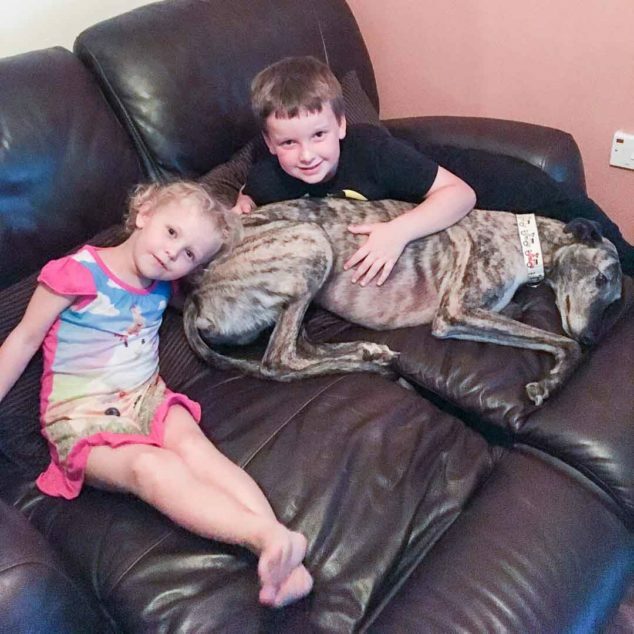 We would just like to say please consider a greyhound as a family pet! Yes, they are big but honestly, we live in a small house and he just fits right in! He sleeps most of the day and needs only small amounts of exercise! Zero is such a happy dog! Many thanks to Sarah for sharing the fun of your sweet dog, Zero! Update: Sadly Zero has passed over the rainbow bridge. Run free Zero, run free.